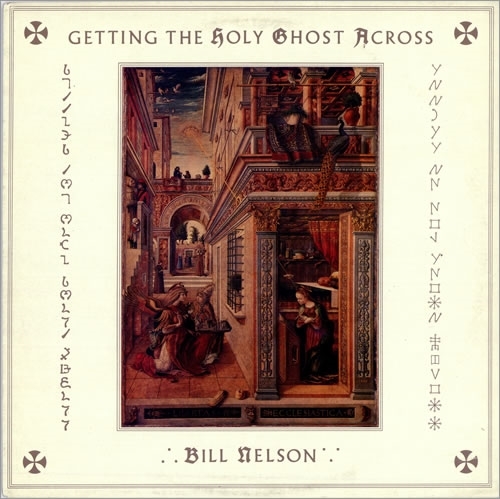 Bill Nelson was and continues to remain a lyrical visionary just slightly ahead of his time. In the late 1970’s Bill Nelson was heralded as one of the finest guitarists in England. A member of the legendary British art rock pioneers Be Bop Deluxe, Nelson was unknowingly charting a lyrical course of influence for progressive rock with his technical precision on the fret board and a lyrically inventive course of imagery that continues to inspire today. Quirky, eclectic, at times experimental all fall short in attempting to place this proverbial musical square peg in a round hole. The 1986 release Getting The Holy Ghost Across” has been a rare and coveted gem among collectors and is now getting a second chance at life as a stellar reissue. For the full review, please visit the Bop-N-Jazz website! This entry was posted on Monday, February 17th, 2014 at 00:00	and posted in Bill Nelson, Review. You can follow any responses to this entry through the RSS 2.0 feed. « Dutch Rock Legends FOCUS’ Hit Song “Hocus Pocus” Featured In New ‘RoboCop’ Film!